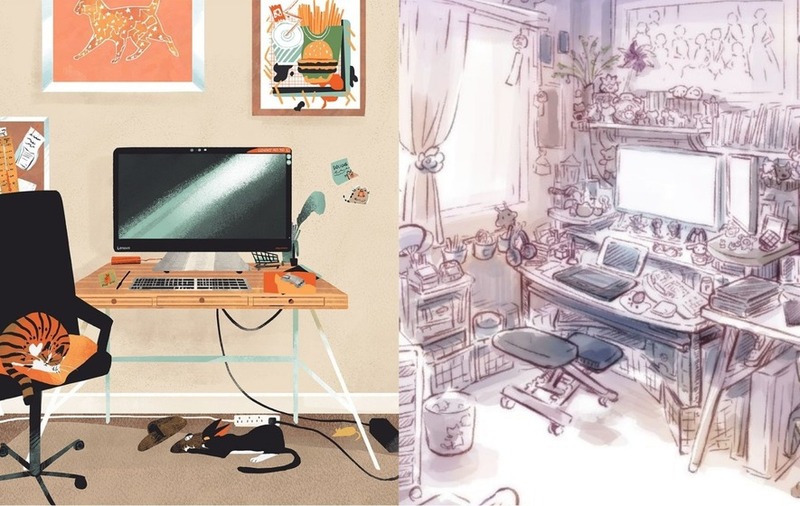 A 21-year-old student has inspired artists to create and share beautiful drawings of their desks. Liya, Twitter name @mochiipanko, coined the hashtag #myartistdesk and kicked off the visual delight with her own creation from her desk in Germany where she studies architecture. Naturally, Liya said the idea came to her whilst drawing at her desk, but she hoped the trend could also help artists in their technique. “I wanted to encourage artists to draw more backgrounds, since I think many are too afraid to draw them (I can speak from own experience),” she told the Press Association. In less than a week, the challenge has since been taken on by hundreds on Twitter. “It’s really interesting to see how everyone’s desk and workplace has something unique, but they’re still kind of similar too,” Liya said. “All show something creative, some are more organised, some more chaotic. And the best thing is that many people said they they were surprised they had fun with drawing it! Those rising to the challenge have used a wide array of mediums to depict their work spaces, with some even animating them into GIFs. “Another good thing that came out of this hashtag was other people who said the pics inspired them to build up their own workplace more nicely,” said Liya. “Or some drew their ‘ideal’ workplace and now have a better vision of how they want their desk to be in the future. What would your desk drawing look like?